Successfully raising goats does require some knowledge especially on the different types of goat breeds and the proper way to feed a goat. 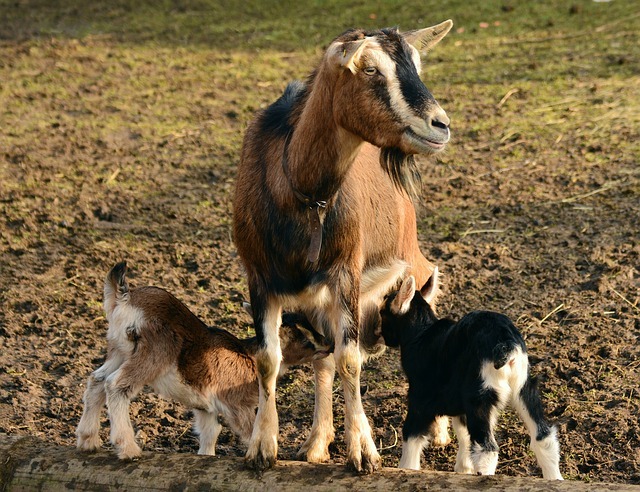 Raising goats as pets may be a consideration for certain breeds and some of these breeds will also provide you with incredible milk to drink or to turn into cheese. Of course, you will have to learn how to properly milk a goat which will vary from goat breed to individual goat. Some goats are much easier to milk than others because of their temperament and size of their teats. From my own personal experience of visiting different farms with goats, proper goat feed and care plays a very important role in keeping your goats healthy as well as improving the quality of their milk. Get some basic information on how to raise goats particularly on the basic needs of dairy goats before you buy one. Also, learn some of the basic care tips for raising goats as well. 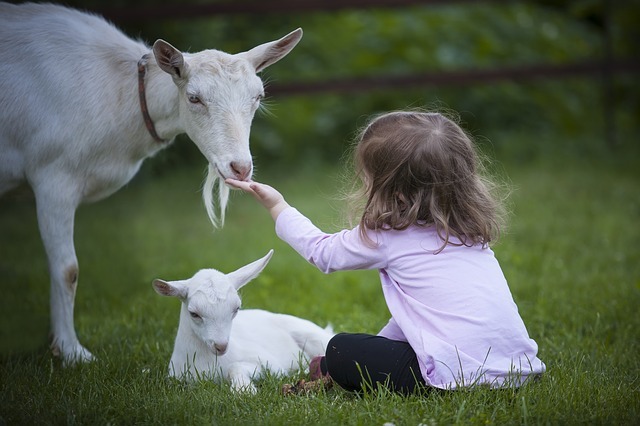 Learn about breeding goats and goat gestation or pregnancy. Also get some tips on milking your goat after she has had her kids and find out if you should bottle feed baby goats. 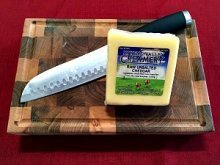 Milking goats enables you to have fresh milk as well as gives you the ability to make your own yogurt, goat cheese, butter, and soap. Most of the world's people consume goat milk rather than cow's milk. 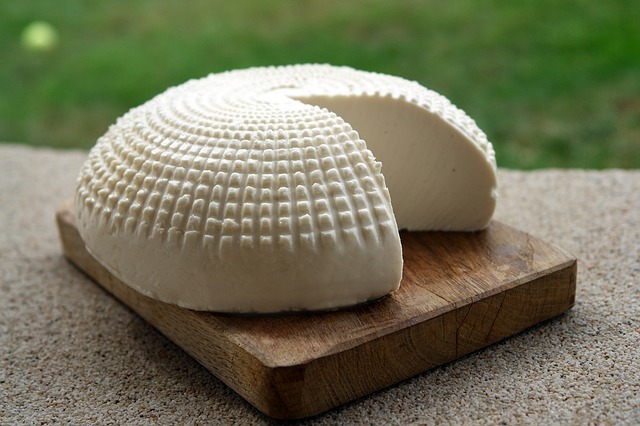 Did you know that you can make great cheese from goat milk? Get some tips and advice on how to properly milk a goat. At first, I thought it would be much easier than milking a cow - not necessarily true! Goat milk is higher in calcium and goat milk is naturally homogenized compared to cow's milk. Also, raising goats requires a lot less space and is relatively less expensive compared to raising cows. Goats eat much more like deer which are browsers. Goats are also much more flexible in their eating habits than cows or even sheep. Their ability to browse and to be flexible with the consumption of numerous plants enables goats to survive in many different types of environments. 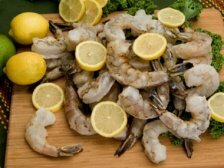 Find out what goats like to eat or more specifically what they should eat. This may surprise some people as goats have a reputation of eating just about anything. Goats are best described as a small ruminant that likes to forage for its food. 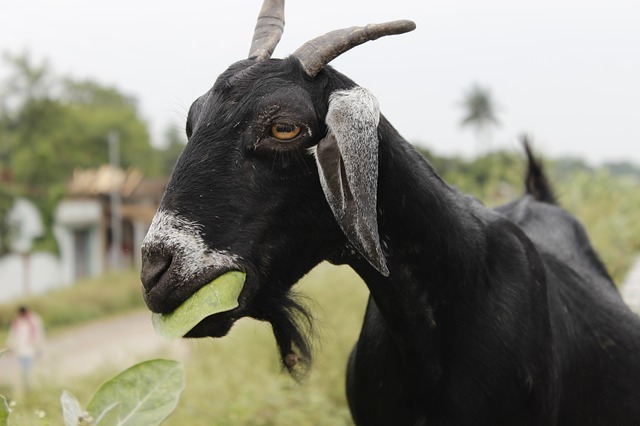 Goats can be used to clear unwanted plants such as ivy, nettles, thistles, and morning glories from your land or property. 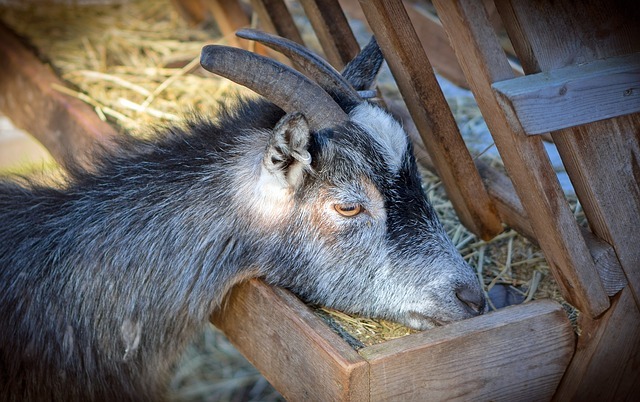 However, when an adequate amount of forage or land is not available, supplemental goat feed becomes necessary. 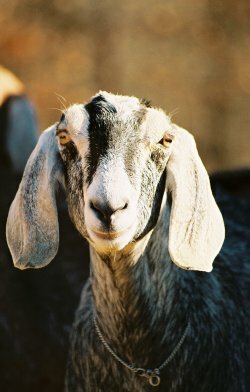 And there is much controversy over what's the best type of supplemental feed for raising goats. Goats are basically classified into a few different categories. 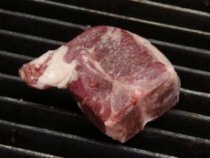 What category a goat falls into will depend on whether the goat is mainly used for dairy, meat, fiber, or pets. And there are hundreds of goat breeds found throughout the world. You may be surprised that lustrous fibers known as mohair as well as cashmere come from goats. However, if you're looking for the best dairy goat, you will want to find out which ones will produce a lot of milk. Learn about the different types of goats that are also some of the most popular breeds for raising dairy goats. There are goat breeds that are considered dual-purpose or multi-purpose goats. And these goats will be used for meat as well as dairy. Also, certain breeds can make great pets for your family and also provide you with really great tasting milk. 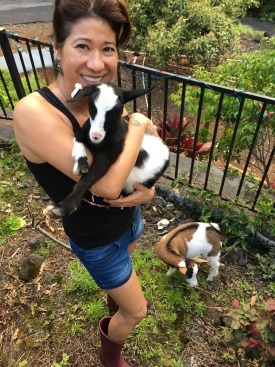 This is my sister-in-law with a couple of her goats as pets - she actually has 3 Nigerian does. A goat can make a great pet! Goats in general are easy to handle and respond well to human attention - some breeds better than others. A goat can respond to a name you give it. However, keeping a goat indoors would probably not be the best place to house your goat. Some people like pygmy goats as pets because they are easy to raise and handle, but not so good for milking. Pygmy goats will have smaller teats and smaller udders compared to Nigerian dwarfs - which can be a problem when trying to milk. 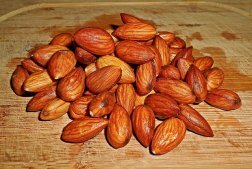 A Nigerian dwarf is reasonable in size and able to supply a good amount of creamy milk - up to 2 quarts per day. Some reasons for keeping your pet goat outside are that a goat has to use the bathroom more often than a cat or dog. And they may also break some of your valuables by knocking them down or jumping on them. Females (called does) and castrated males (called wethers) are preferred for goats as pets. Unless, you are interested in breeding goats. Just be aware that male bucks may have an offensive odor during mating season. Make sure you are zoned for raising goats as pets before you invest in one. 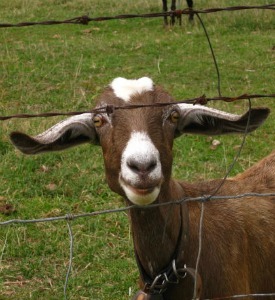 Since a goat is a herd animal, having at least two goats would probably be best for your pet goat. Get the basics on goat housing and goat fencing to ensure that your goat's basic needs are met to keep them safe and secure.